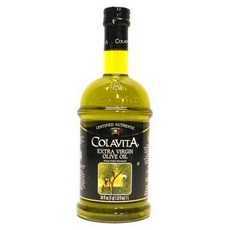 shop Colavita Extra Virgin Olive Oil 6x6 25.5 Oz | bargainbrute. Enjoy Colavita Extra Virgin Olive Oil. America's Best-Selling Italian Extra Virgin Olive Oil. Cold-Pressed From The Best Fruit Of The Olive Tree, It Is The Natural Juice Squeezed From Italian Olives One Day After The Harvest. Unmatched For Freshness And Flavor, Colavita Guarantees Its Product To Be 100% Italian Olive Oil And Properly Labeled. A True Italian. (Note: Description is informational only. Please refer to ingredients label on product prior to use and address any health questions to your Health Professional prior to use.